GS Wines and partners will present a concert of music, including arias, from some of the best loved Italian operas such as The Barber of Seville, La Traviata, La Boheme, Rigoletto and L’Elisir d’Amore, written by the finest composers of Italian opera including Donizetti, Rossini, Puccini and Verdi. Our accomplished singers, Yuri Sabatini (Tenor), Luciana di Bella (Soprano) and Monique Loricchio Klongtruadroke (Soprano) will delight you with their glorious voices and superb technique as they perform songs portraying a huge range of emotions around major operatic themes of Love, Betrayal and Death. 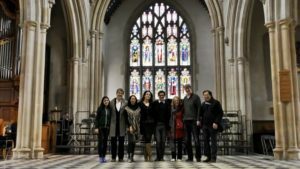 This unique event promises to be a real treat for music lovers, especially opera fans. For wine lovers, we will also host a mini wine tasting of 3 high quality Italian wines from 5:45 pm plus a free glass of wine at the Interval, along with fruit juice and snacks (performance starts at 7 pm, and ends around 9 pm). Premium seats are priced at £40, Standard seats at £30 and children between 5 and 18 years’ of age £5. 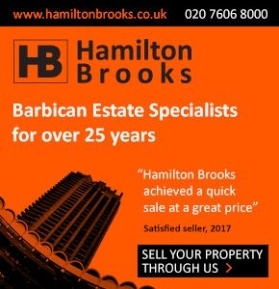 Discounts available for Barbican residents. Details are on Eventbrite (search under Italian Opera) or this link https://lovebetrayaldeath-italian-opera.eventbrite.co.uk but for special prices and group discounts, contact Gordon on 07866 440162 or gswinesuk@gmail.com.